The service will launch in Houston, Indianapolis, Los Angeles, and Sacramento. Verizon is set to provide the first 5G wireless home Internet service in the United States. The company said Tuesday it would launch Verizon 5G Home October 1 with free installation, discounts for Verizon cellular customers, and the potential to deliver some stiff competition to cable companies. The service will debut in parts of Houston, Texas; Indianapolis, Indiana; and Los Angeles and Sacramento in California, on a new 5G network Verizon has been building throughout 2018 in the four cities. The monthly cost of $70 (including taxes and fees) will carry a $20 discount for customers with qualifying Verizon cellular plans. There is no contract period, and Verizon says it will provide a free router and installation. 5G is the successor technology to today’s 4G wireless, promising faster data transmission and lower latency. 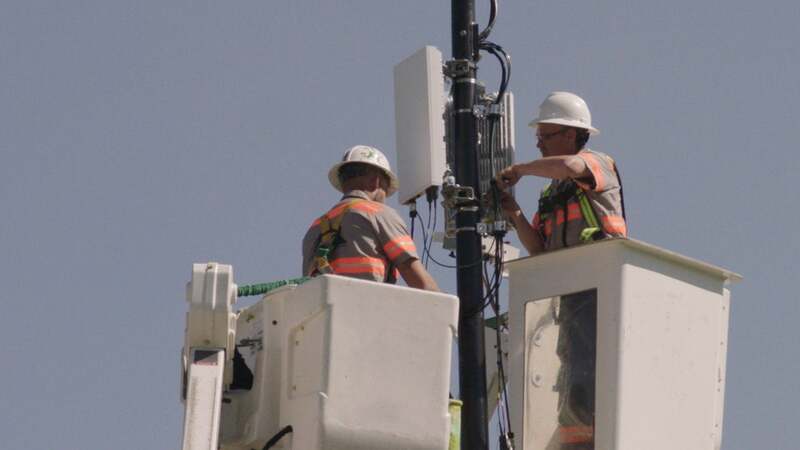 Even though 5G technology is still developing and there are no standards yet, wireless companies are eager to embrace it. Their target is the potentially lucrative home Internet market. The Verizon network is based on a flavor of 5G developed by the company itself while it waits for the telecom industry to catch up on industry standards. For that reason, the initial deployment is limited. Verizon promises typical speeds of around 300Mbps, peaking to 1Gbps during periods of low use. Verizon says it plans to put network expansion into a higher gear once standards-based equipment is available. That will likely happen in 2019 and is one of the reasons Verizon is promising early adopters router upgrades next year. Unlike conventional cable services, Verizon won’t offer a TV subscription. New subscribers will get three months of YouTube TV at no cost and an Apple TV 4K or Google Chromecast Ultra device. YouTube TV offers about 60 channels of broadcast and cable television. Customers will have the option of continuing YouTube TV at the standard price of $40 per month once the trial is over. What this means to you: 5G is emerging at a time when everyone wants fast Internet service but competition is sparse, forcing users to pay higher prices. If Verizon and other wireless providers can offer a viable alternative to cable, satellite, and their ilk, consumers could enjoy lower prices as well as more choices. Find out more about coverage and sign up on the FirstOn5G.com website, starting September 13.